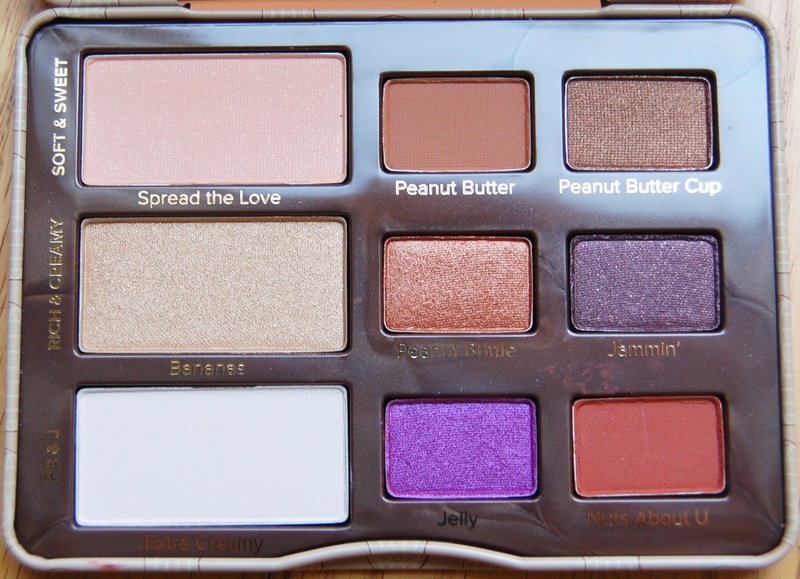 The Too Faced Peanut Butter and Jelly Palette was created due to the love of the shade Peanut Butter from the Semi-Sweet Chocolate Bar Palette (which I do not own). 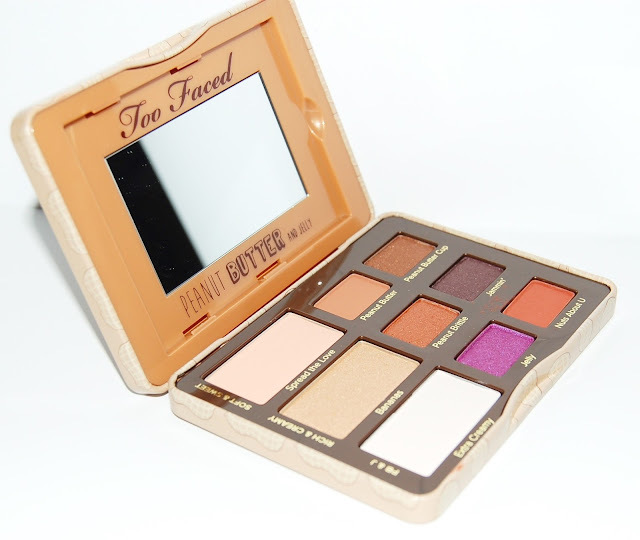 This palette is housed in Too Faced's adorable little tin packaging and comes with instructions for a few eyeshadow looks. It contains a small mirror. 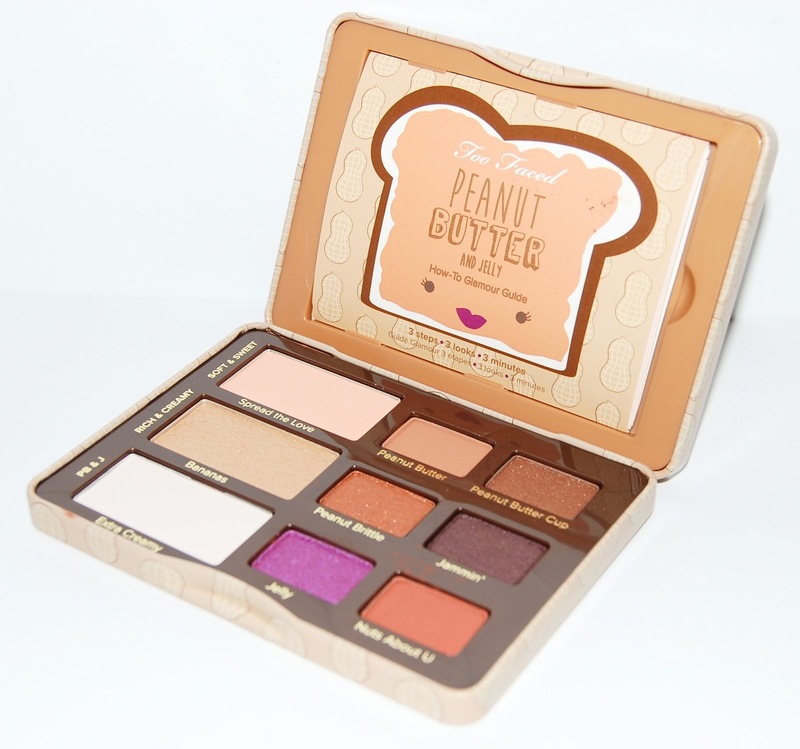 The palette includes 3 matte shadows (Extra Creamy, Peanut Butter, Nuts About U) and 6 shimmers. I absolutely adore this palette! It smells like a mix of cocoa and peanuts! The eyeshadows are the same quality as Too Faced's Chocolate Bar Palette which is to say that they are amazing quality. Pigmented, buttery, and easily blendable. However, I have had a bit of creasing with the gold and bronze shades on my lids. This is surprising to me since I rarely ever have creasing with shadows. 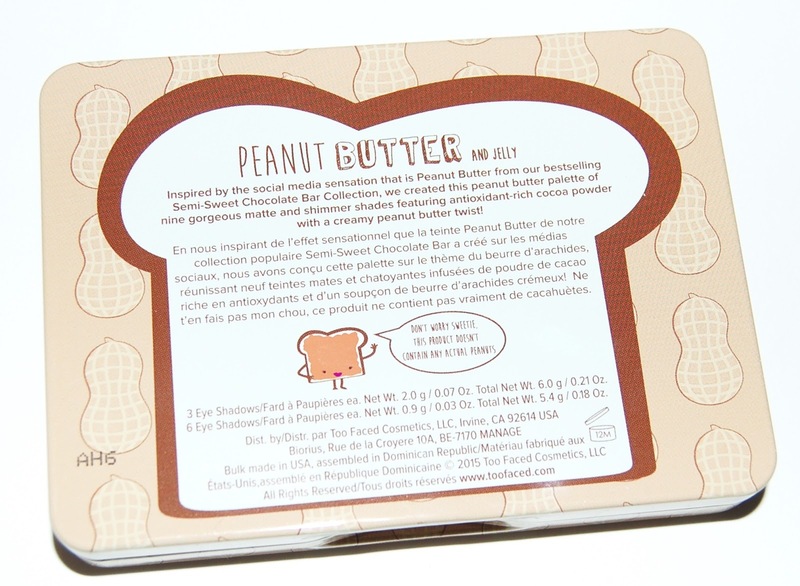 Extra Creamy is a perfect browbone shade, Peanut Butter and Nuts About U are great for transition and crease shades. I love the shimmery-ness of Peanut Brittle for all over the lid. I've enjoyed creating a neutral look and then adding Jelly on my lower lashline for a pop of color. Here's a look I created using the palette. I wanted to create a different look than the hundreds of neutral looks already out there for this palette. 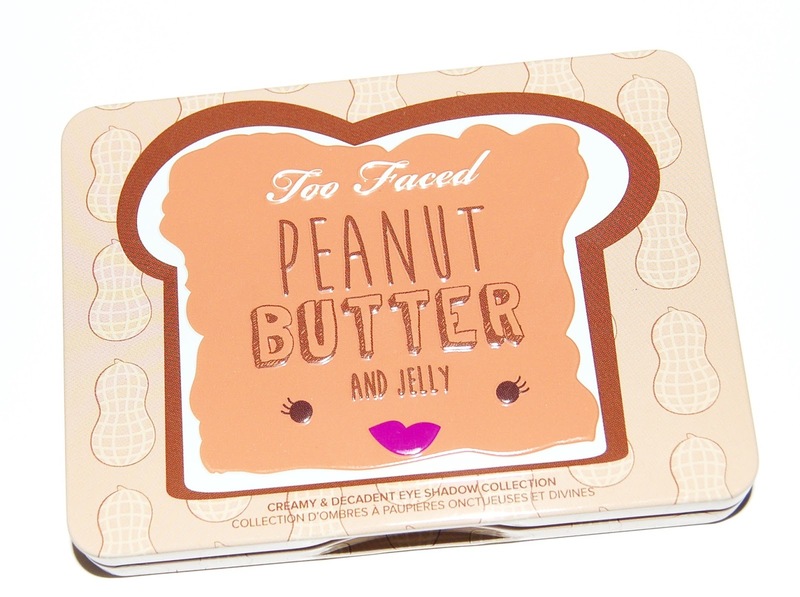 Right now you can purchase the Too Faced Peanut Butter and Jelly Palette on the Too Faced website, HERE and it recently became available again at Ulta Beauty. But if you want it, act quick because who knows when it will be gone forever! Do you have this palette? What is your favorite Too Faced Palette?